A view of the Waveny House in New Canaan. NEW CANAAN — When it comes to possible renovations to Waveny House, a proposed $1 million is on the line for the upcoming fiscal year. “We are trying to focus on American with Disabilities Act (ADA) compliance and safety upgrades throughout the town and we’re focusing on what we think are the most pressing and urgent needs,” Tiger Mann, director of Public Works, said in a presentation to the Town Council March 14. 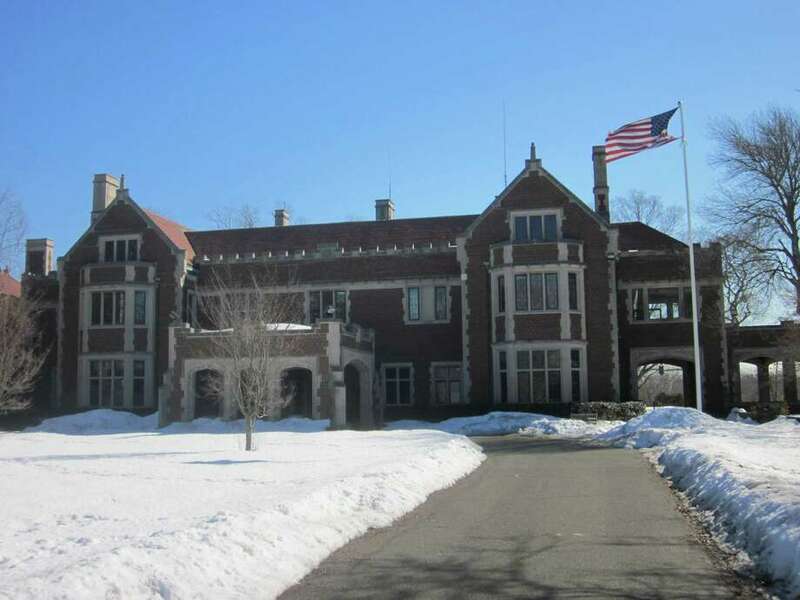 Waveny House is the home of the Recreation Department and can be rented as a venue for weddings and other social events. By not being ADA compliant, however, the town could be held legally liable for discrimination against individuals with disabilities. The $1 million capital item would be split between the addition of a “birdcage” elevator reminiscent of the early 1900s and the installment of ADA-compliant restrooms on the second floor, of which there are currently none at the manor. Town Council members were split on how to best proceed given the significant price tag. Fellow council member Cristina Ross, in yet another idea of what to do, suggested the town could put an ADA bathroom on the first floor and limit public activity to the first floor. According to the Building Evaluation and Use Committee report published in December, the 36,000-square foot manor is “grossly underutilized,” lacks air conditioning and has aging utilities. First Selectman Kevin Moynihan, who was in attendance at the March 14 meeting, pushed for the $1 million approval. “This is allocating the Waveny ADA compliance, for which we are very long overdue,” Moynihan said. Council member Christa Kenin, who has served on the Waveny House Committee and the Building Use Committee, was hesitant about approving the capital line item. “(Waveny House) is very low-revenue generating and for that reason I’m not motivated to throw any money at it right now,” she said. The proposed “birdcage” elevator itself did not escape scrutiny from Town Council. After a back and forth between the Town Council members, Moynihan and Mann, the legislative body suggested the Public Works Committee and the Infrastructure and Utilities Committee obtain more information, as well as public comment, regarding the elevator and other ideas discussed. The Town Council will be reviewing the town and education budgets in the upcoming two weeks. It will vote on the budget, which currently includes the renovation funds, April 5.